if they don’t have a home? How many of us look the other way when we see a homeless man or woman holding up a cardboard sign on a street corner? How many of us wave a homeless person off when they are asking for money? How many of us assume we know what they’re going to use that money for? How many of us pass judgement on these brother & sisters in Christ? I’ll be the first to admit that I have and I’m still working on only exuding love for the people who wander the streets. How many of you have really gotten to know a person without a home? Where are they from? What’s their story? I have a couple of friends that have–and are presently waiting for this man with whom they’ve spent hours of beautiful time to pass from this earth. This is a link to another blog (a friend of my friends’) that describes the rawness and the beauty of what they are going through. Please take a moment to read this…I promise you won’t regret it! Categories: Daily Bread, Inspiration, Reblog, this moment | Tags: Charitable organization, Christ, dying, friend, homeless person, Homelessness, Poverty | Permalink. Thank you Alvin and thank you for stopping by! Love this post. 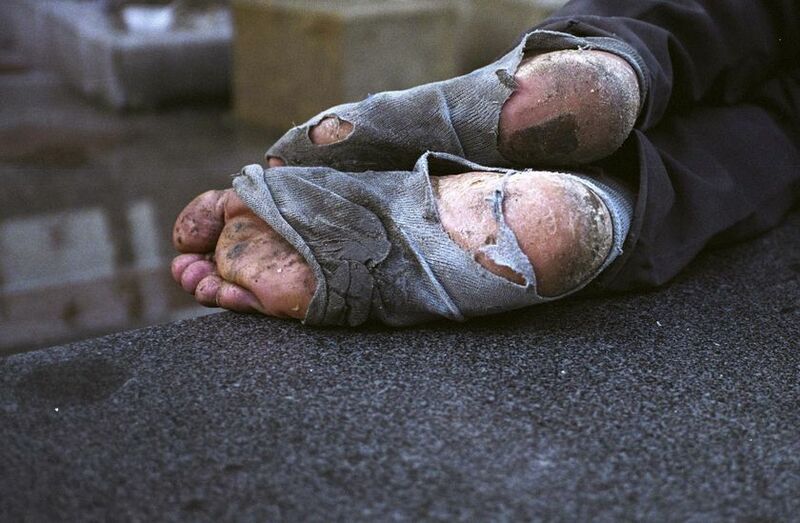 I just finished a study on James and have been asking myself a lot of questions on caring for the homeless. If you’re up for sharing your study I would love to try it out! I am excited to be part of the Denver Faith & Justice conference in about a week…this will be a place where people from all faiths (or no faith) come together to talk about how we can respond to local injustices and I know that homelessness will be a topic. Did you build this web site yourself? Please reply back as I’m looking to create my very own site and would like to know where you got this from or what the theme is named. Kudos! Hi there! Thanks for the compliment! I used a WordPress theme called “Fresh & Clean”. I chose my own font, colors, and the pics are mine.